The Peter Thomas Roth skin care collection promotes clear, healthy, younger looking skin through the use of anti-ageing and antioxidant skin care treatments for sensitive, dry, oily, acne prone or combination skin. 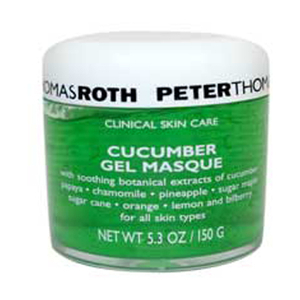 Peter Thomas Roth offers unisex facial cleansers, moisturisers, scrubs, masks, body lotions and even shaving products, which help reduce wrinkles, tackle acne breakouts, control oil and shine, minimise pores and hydrate dry skin. Exfoliate, cleanse, tone or moisturise with a popular Peter Thomas Roth skin care treatment. For the treatment of prematurely ageing skin, choose one of Peter Thomas Roths anti-ageing gels, cleansers, moisturisers, masques or eye creams, some of which contain glycolic, and aid the reduction of fine lines and wrinkles for a more youthful complexion.